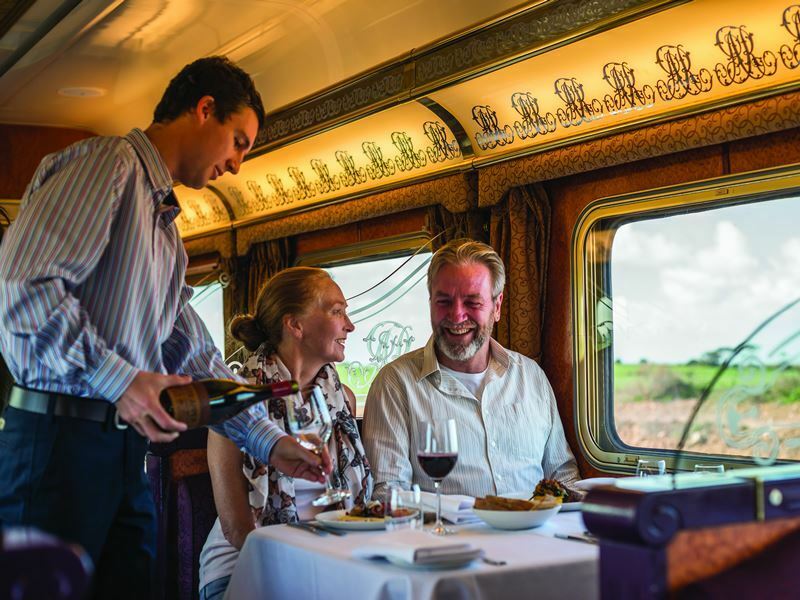 The Ghan is a luxury train and a living legend, taking passengers through endless vistas of some of Australia’s most breathtaking wilderness areas in one of the most comfortable ways imaginable. This is your chance to witness some of the country’s most remote towns as well as the striking beauty of the Outback, while making unforgettable stops at destinations like Alice Springs, a world-famous town that’s considered a symbol of isolation, the largest monolith on the planet, Ayers Rock, and so much more. Just imagine, no worries about getting behind the wheel and getting lost, or being stuffed into a bus packed with countless other tourists. Instead, you’ll be able to relish solitude in your own private cabin, gazing out the window and becoming inspired by the ever-changing landscape. But when you want to be social, you can strike up a conversation with your travelling companions, sharing the excitement of the sights as they roll by. 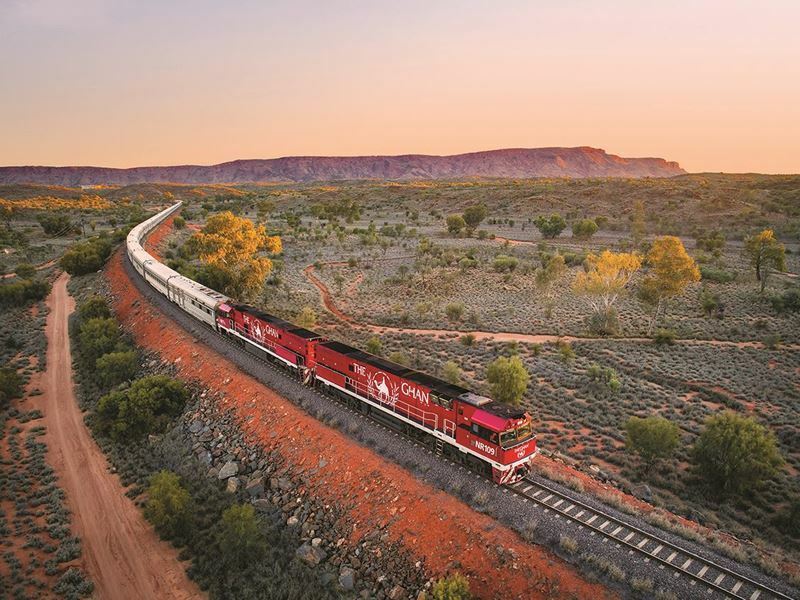 The Ghan rail journeys provide access to areas of Australia that you wouldn’t be able to see or even come close to with other types of holidays, with the ultimate balance in comfort and adventure. It all starts at the rail station, where you’ll get a taste of the extraordinary service that awaits as friendly staff lead you to your own private cabin. There you can get settled in, exploring some of the train’s many amenities as the view outside slowly transforms. 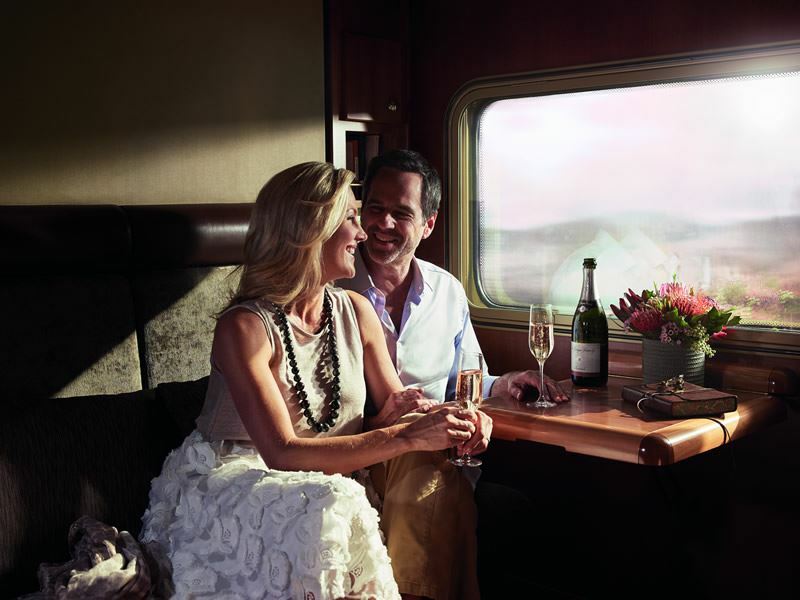 The Ghan offers two levels of service: platinum and gold. No matter which you choose, your journey is sure to be one that’s comfortable and relaxing. It’s kind of like deciding between a filet mignon or lobster in a four-course meal. Both options provide outstanding experiences, but the premium is like that multi-course meal - an especially luxurious holiday that includes lots of extras, like in-cabin breakfasts and access to the Platinum Club where an all-inclusive menu is prepared by the onboard chefs using fresh local fare to create fantastic seasonal dishes like grilled kangaroo filet. You’ll get a larger suite that comes with complimentary Australian bathroom amenities, picture windows with views from both sides of the train, refreshments served in your cabin, the option to travel with Platinum Service Transfers at both the beginning and end of the journey, and more. Gold Service also includes your own private cabin, along with all-inclusive dining and beverages. You’ll have a big screen window for taking in the sights as well as access to complimentary shuttle bus transfers in Darwin to many hotels in the city centre. With either option, you’ll never have to worry about going hungry or having to fork out all that extra money for your meals. The Platinum Service rate includes extensive, filling breakfasts, two-course lunches and three-course dinners, with a selection of complimentary wine and other beverages to pair with them as well. The Gold Service rate offers all-inclusive dining in the Queen Adelaide Restaurant, including Australian wines, beers, base spirits and non-alcoholic beverages. Throughout the journey with either level, you can expect cheerful top-of-the-line service, which means never having to wait for your glass to be filled as well as good company and fascinating tidbits about the culture and history of the region. Darwin to Adelaide. 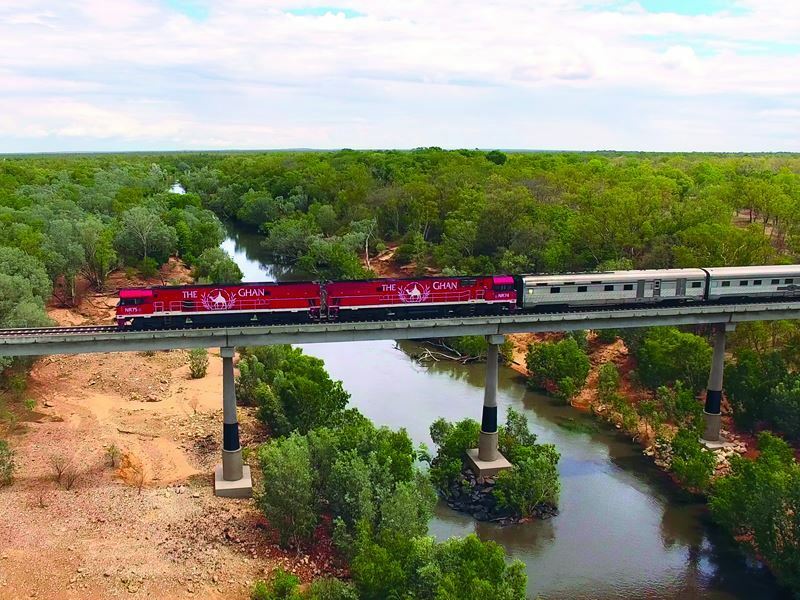 This epic, and most popular, rail adventure covers more than 1850 miles in the heart of the Australia continent, journeying from the north coast in the tropical city of Darwin, all the way to the south coast in Adelaide over four days and three nights, operating from early April through much of October each year. Your first stop is Katherine and the dramatic Nitmiluk Gorge with its ancient sandstone cliffs. You’ll be able to take part in the Katherine Outback experience which includes a glimpse at the inner workings of life on a cattle station, cattle dog demonstrations and live music performances – many of the well-known Aussie tunes are even performed from the top of a horse. Of course, the Outback’s most famous town is on the agenda too. Alice Springs is some 900 miles from the nearest major city and is renowned for its endless desert landscapes and cavernous gorges while being a hub for Aboriginal art, pioneer history and quirky events like the “boat race” hosted on a dry, sandy bed. Cooper Pedy is also on the agenda. One of the world’s most unusual towns, this opal-mining capital was built underground, constructed out of old abandoned mines. Situated virtually in the middle of nowhere in the Australian desert, about 500 miles from Adelaide, residents make their home underground to keep protected from the searing heat of the sun as the heat is so extreme here it would be impossible to live like traditional dwellers above ground. The terrain transforms dramatically by the time you reach the final destination of Adelaide. Set upon a plain between rolling hills and the Gulf of St. Vincent, it’s bordered by some of the nation’s most famous wine regions and is home to one of its best-kept secrets: the unspoiled sands of Henley Beach. Adelaide to Darwin. You can also make the journey in reverse, over a three-day, two-night trip. It includes the chance to witness an Outback sunrise in Marla, set within the remote wilds of South Australia, as well as a fabulous display of the brilliant night’s sky in Manguri, a remote town about 25 miles from Coober Pedy. You’ll also stop in Alice Springs to experience its culture, lifestyle and history, with options to enjoy an impressive bird show, take a helicopter ride over the MacDonnell Ranges for a bird’s-eye panoramic view, ride a camel across ochre land, or journey further into the interior to view Uluru and Kata Juta before moving on to Katherine where cultural activities with the Aboriginals await. Darwin to Alice Springs. This two-day, one-night expedition travels nearly 1,000 miles from Darwin to Alice Springs, and includes the Katherine Outback experience and the option for a helicopter or scenic flight over both Nitmiluk and Kakadu parks, as well as a visit to Alice Springs and its options as noted above. Adelaide to Alice Springs. 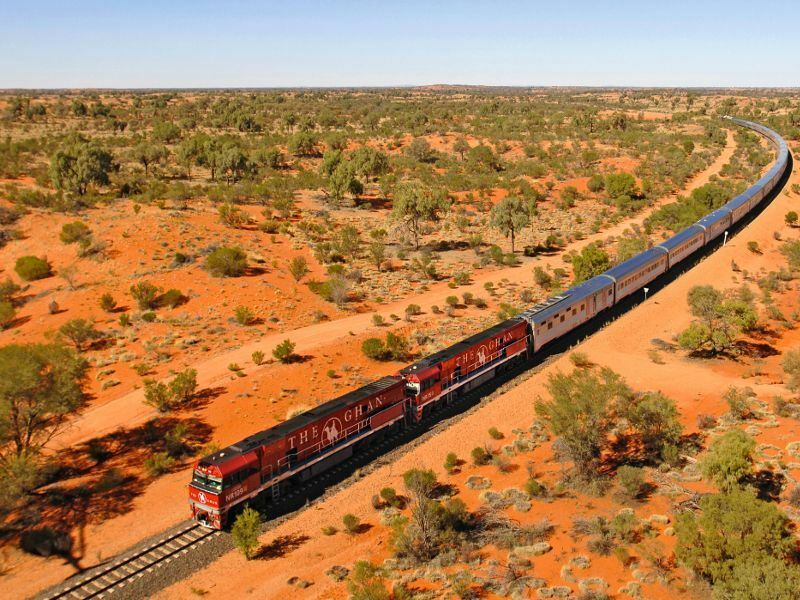 The two-day, one-night journey can also be taken from the other side, departing from Adelaide and culminating in Alice Springs. It includes the opportunity to catch an Outback sunrise in Marla, along with stargazing in Manguri before reaching Alice Springs and enjoying some of its many delights. No matter which level of service you select, you can look forward to dining on mouth-watering regional cuisine that pairs perfectly with the unforgettable experiences you’ll have both off and onboard. Expect passionately-prepared dishes like grilled goldband snapper fillet served with steamed asparagus, saffron aioli and orange, parsley and papitas cous cous or perhaps a succulent rack of lamb, along with heavenly desserts and regional cheese plates. Both Gold and Platinum Service passengers are welcome to dine at the beautiful Queen Adelaide Restaurant, which has the feel of Old World rail travel with its ornate décor while creating some of the most unforgettable dining experiences – all while taking in the gorgeous valley, desert and mountain vistas. The menus are focused on showcasing the region’s finest flavours, with everything from Margaret River cheeses to locally-produced lamb and beef and even native Australian fare like kangaroo. The cuisine is designed to reflect the impressive food and wine regions that you’ll see right outside your window. Platinum Service passengers also have access to exclusive dining and drinking at the Platinum Club, with its deluxe bar, lounge and flexible dining area in a space that enjoys an upscale Australian design, complete with timber flooring and quartzite tabletops. All of the regional fare offered at the Queen Adelaide Restaurant is served here as well. Taking one of these rail journeys, you’re likely to have some time to spend in two of the country’s most vibrant cities, before and after that big adventure. Darwin and Adelaide both have lots to offer. 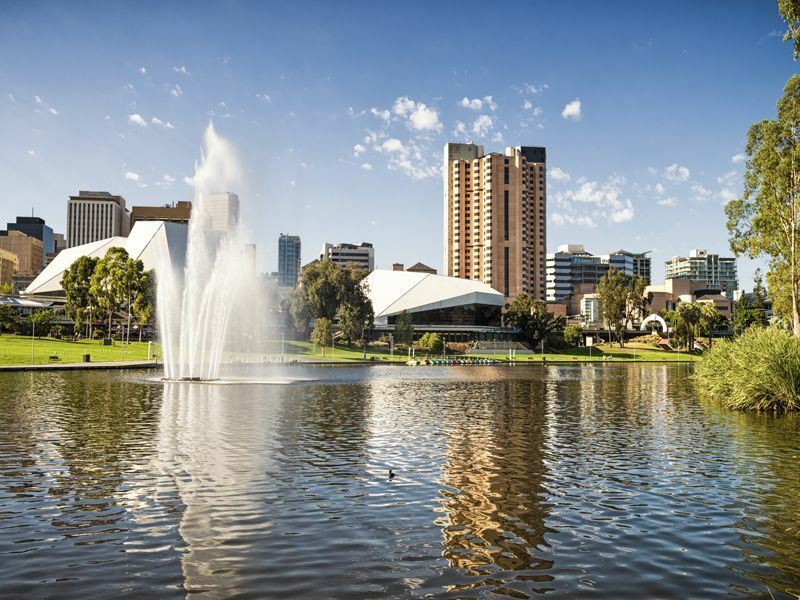 Australia’s fifth largest city, Adelaide was the only destination in the country ranked as one of the world’s top places to visit by the New York Times in 2015. Popular with foodies, it’s home to Central Market which opened way back in 1869. It hosts over 80 stalls, cafes and eateries that showcase fresh, local produce and much more, and the city itself boasts countless fine dining restaurants, fantastic food trucks, pubs and bars. Darwin, which hugs the coastline of the Northern Territory, is a multi-cultural destination that serves as the gateway to iconic places like the Tiwi Islands, the Top End, and Litchfield. Its Waterfront Precinct, set in the heart of the city, hosts a swimming lagoon and wave pool surrounded by cafes, eateries, laid-back bars and shops. At Crocosaurus Cove, you can even take a dip inside a real-life crocodile enclosure, delving in via a tube called the “Cage of Death,” if you dare.